Enough pockets and protection for all or nothing. 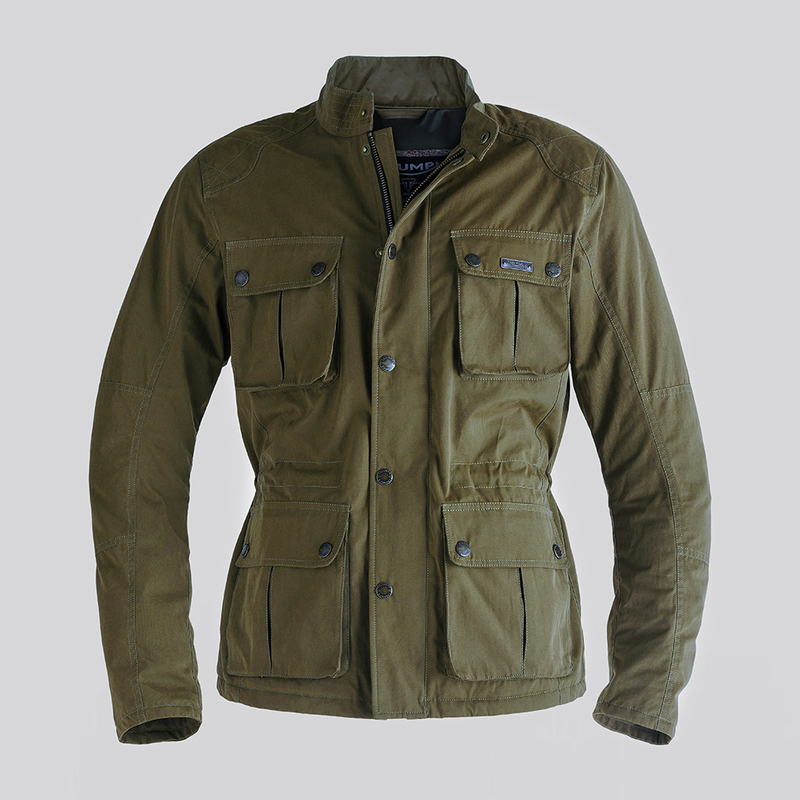 Waterproof, windproof, breathable, and adjustable. Reinforced, heavy duty construction. It’s a jacket oozing with intent. The definitive casual riding pant protects with D3O® knee armor and multilayer, reinforced construction. Unlined for maximum breathability. Strategically placed flex zones bolster comfort and flexibility. A 100% cotton short sleeve tee, unafraid to keep it 100. Comfy and all day cool. 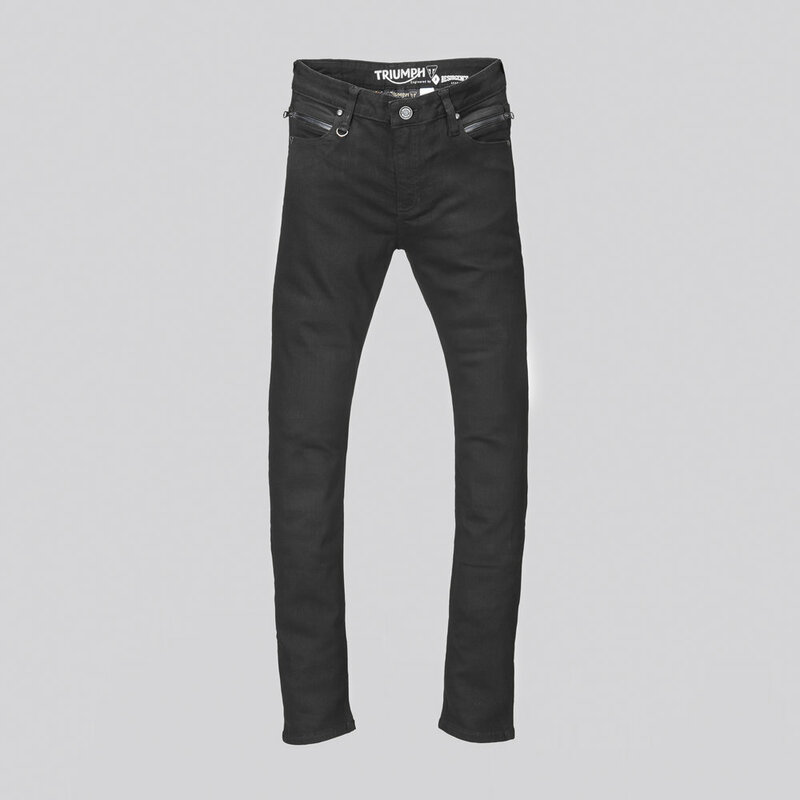 The Ladies Skinny Riding Jeans feature D3O® armor and engineered for a sleek and tailored fit. A breathable air-mesh liner, height adjustable knee protectors, and stretchy denim ensure comfort on any adventure, pavement to dirt, city to suburbs. Not your father’s flannel. The Riding Shirt comes fully lined with abrasion resistant material and a quilted liner for added comfort on- or off-bike. Pair with our Under Protection for covert CE impact. Print of the Classic British custom motorcycle. 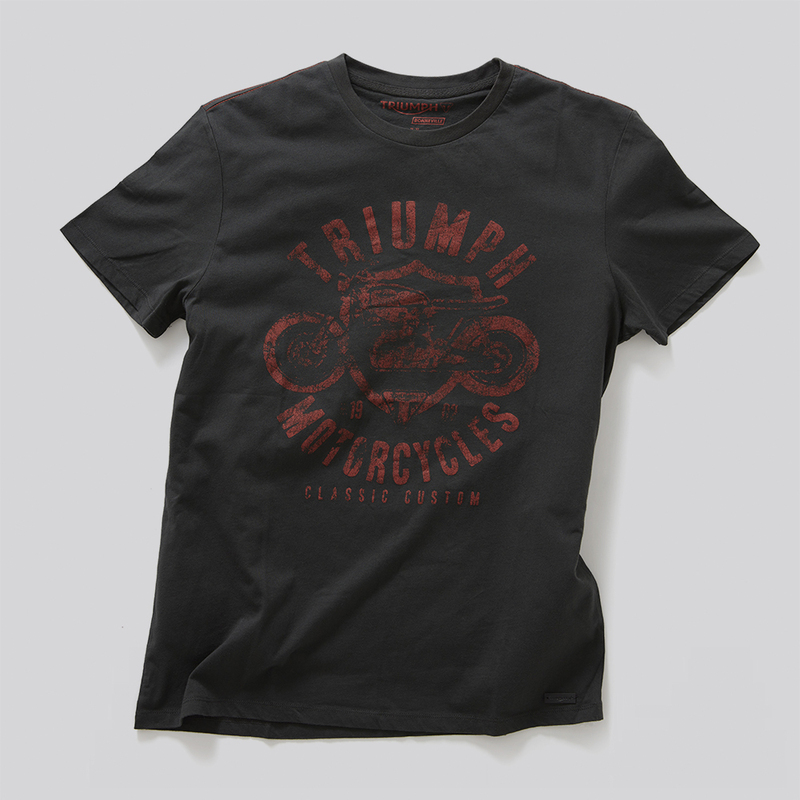 100% Pre-washed cotton with a distressed finish for the feel and look of your favorite tee. The AirFlow Tech zip opening cools. A removable quilted vest liner warms. Strong but supple leather and D3O® armor protects. These understated and definitely British gloves feature a black and cream version of the Union Jack…just in case they forget. Pre-curved fingers include a touch screen friendly pointer. Laced hi-top with velcro strap offers consistent performance on the bike. D30 comfort insoles cushion and protect the feet. Smooth suede and supple leather uppers. Brilliant. You can’t take it with you, they say. Weekend trips need tank bags and panniers, they say. Our 100 percent leather messenger bag with 9 liters of usable space begs to differ. Take what you need. Leave what you don’t.